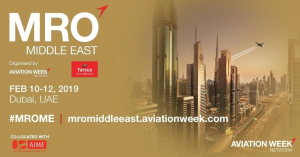 February 10, the 2019 edition of the MRO Middle East will take place in Dubai. WeAre is happy to take part in this event for the third consecutive time. Exhibiting year after year allows us to stay connect with the Middle East MRO Industries. It is also a good opportunity for us to highlight our business. WeAre Aerospace serves International Aerospace/Aeronautical industries by providing Certified Spare Part Production. One of the biggest innovation and trends in the interiors/MRO landscape is the introduction of 3D Printing/Additive manufacturing. It will allow us to enable on-demand manufacturing of spare parts through a 3D Digital Library, eliminating the need of physical inventory. Key hurdle currently for Additive manufacturing is the 3D Digital CAD files of the Spare Parts and the number of certified 3D Printing materials. WeAre Additive was created with the objective of setting up an integrated offer with quality partners to meet each step of the creation of a product in additive manufacturing. WeAre Additive offers a fully integrated End to End offer, dedicated to the production of all your simple & complex parts from raw material. We will be present on the French pavilion on booth 425. We look forward to share with you.